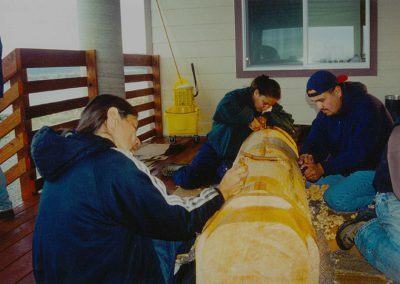 Cultural Resources are all the aspects of Quileute life that have been an integral part of the tribe before European influence. They include the language, of course, but also the fish, game, and plants that essential for traditional livelihood, and the activities that foster a sense of community, such as story-telling, gift exchanges, dancing, drumming, traditional songs, and long-distance paddles to other tribes. 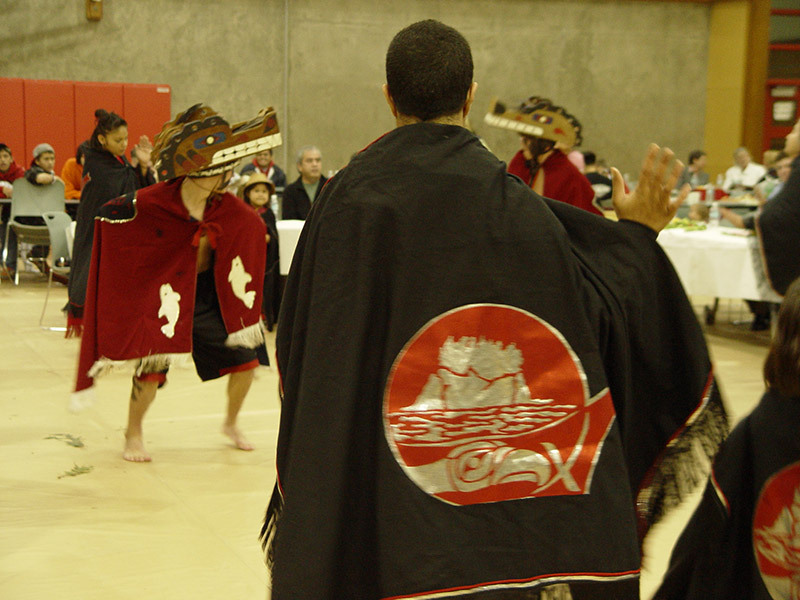 The paddles and other major celebrations often culminate in potlatches, feasts with other tribes that incorporate all of these cultural aspects. The Quileute language is Chimakum in origin, and unrelated to other predominant language stocks, such as Salish. Once the Quileute/Chimakum people extended east as far as Port Townsend, where their shell middens can still be found on Indian Island, now a Navy base. 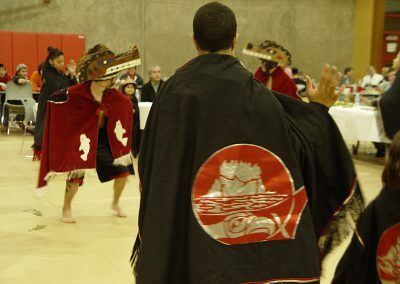 Presently, Quileute language and culture are found on the western side of the Olympic Mountains, and spoken by members of the Hoh and Quileute Tribes. 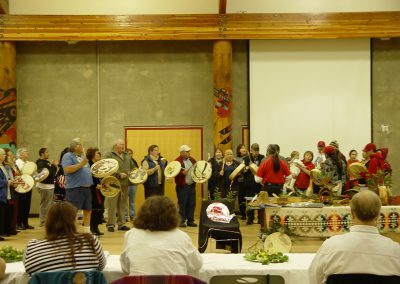 The Quileute Tribal School keeps the language alive with the help of grant funding and extensive interviews with our elders, who are themselves a vital cultural resource for the tribe. Many of these elders contributed to the development of books which are now used to assist the next generation. The Treaty of Olympia of 1856 specifically guarantees to present-day Quileute enrolled members the right to hunt, fish, and gather in their traditional areas, which extend hundreds of square miles off-reservation (see map, attachment at bottom of page). Quileute Natural Resources helps to assure that tribal resources are protected and preserved for future generations by developing regulations for tribal members that manage time, place and manner of harvest. (See, e.g., our home page attachments.) This department has also received grants to assess the watersheds in their treaty area, not just for fish presence, but also, for cultural resources. Dr. Jay Powell, with the elders, again was a major resource for the cultural modules that you can view as attachments on this page. Fishing is an economic and cultural mainstay for the community. Tribal members teach their children to fish at a very early age. (See Power Point on history of Quileute fishing.) Hunting game provides meat both for subsistence and for important ceremonies such as funerals of tribal leaders. The Tribe works with state managers and neighboring tribes to study and to evaluate resources so that they will continue to be available for future generations. QNR also assists community participation in the annual summer Paddle to neighboring coastal tribes by providing safety boat escorts. (See photos, attached.) 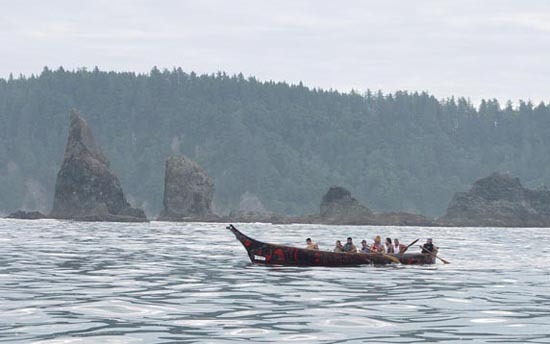 The Paddle, now an event that spans British Columbia, the Washington Pacific Coast, Strait of Juan de Fuca, and Puget Sound , was actually started by the Quileute in 1989. A primary purpose is to give youth a healthy activity in place of drugs or alcohol. However, during the travel, bonds and formed among the participants, and the final potlatch among all tribes at the host destination is an experience that enriches beyond words. Community cultural activities overlap with many of our governmental departments in other ways. 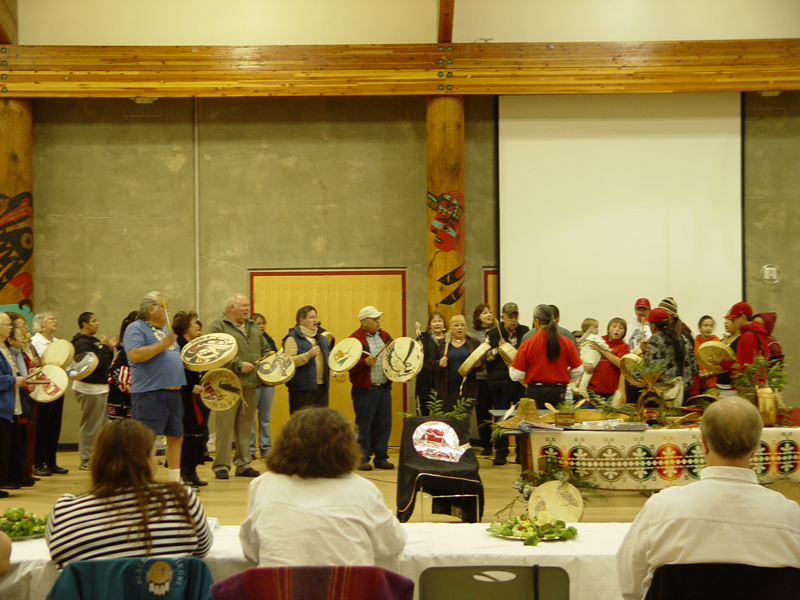 Social Services helps to sponsor the weekly Healing Circle, at which the community and visitors gather at a potluck dinner and later drum, sing, and dance the traditional way. (See photos, attached.) The Tribal School, QNR, and Social Services also co-sponsor gathering of cedar bark and plants such as Labrador tea. The cedar bark is used for baskets and traditional clothing. 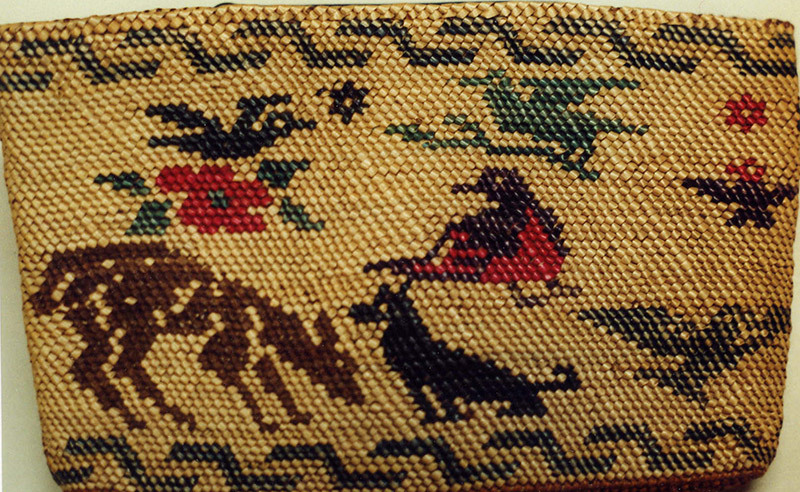 (See the Power Points on Gathering and on Baskets.) These departments also team with the Clinic to gather plants traditionally used for medicines. 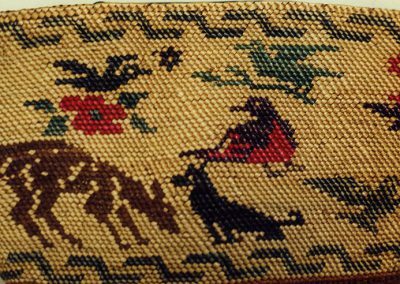 The vital roles of these traditional activities can be explored in greater detail through the Power Point shows on basketry and gathering). The Tribe appreciates Rayonier, Inc. making cedar bark available to Quileute on so many occasions, for baskets and regalia. Carving is also an important tradition. While canoe carving is not actively pursued just now, since obtaining large cedar trees can be a lengthy process, carving of paddles, masks, and rattles is still practiced by tribal members. A summary of our activities are included in James Island Cultural Brochure. To download the PDF, click here.